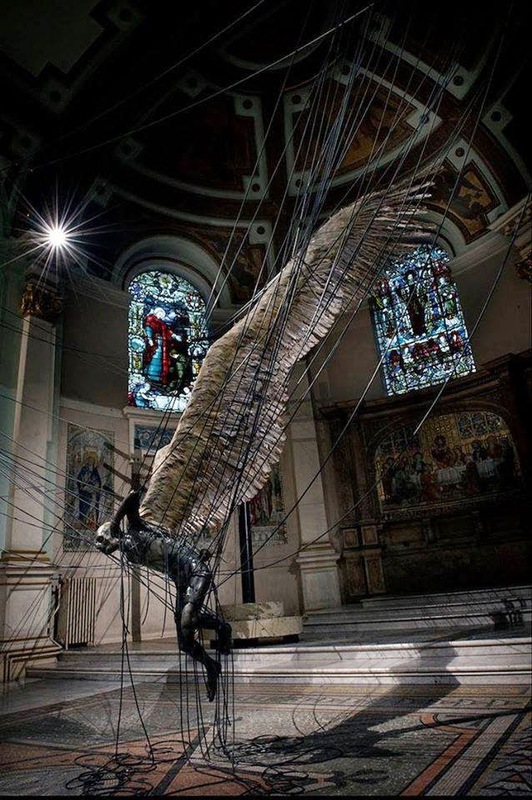 The Holy Trinity Church in Marylebone, Westminster, built specifically to celebrate the defeat of Napoleon, hasn't been used as a place of worship since the 30's, but that didn't stop artist Paul Fryer from making a religious statement by hanging this terrifying statue of Satan inside. 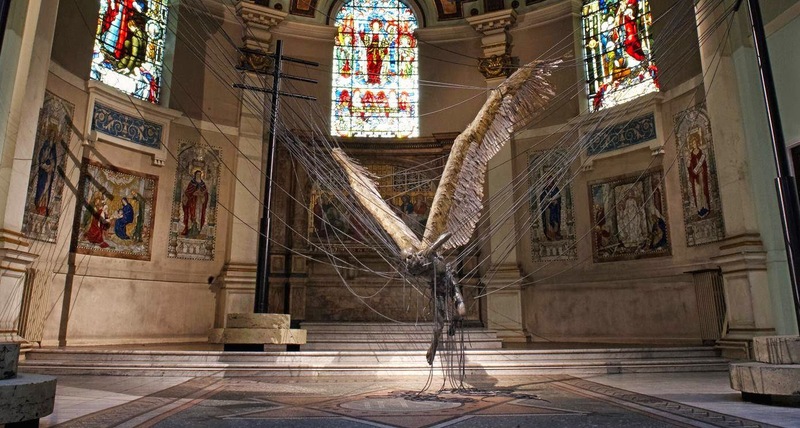 The piece, titled "Lucifer (Morningstar)" is a wax sculpture depicting the devil snared in a set of power lines. 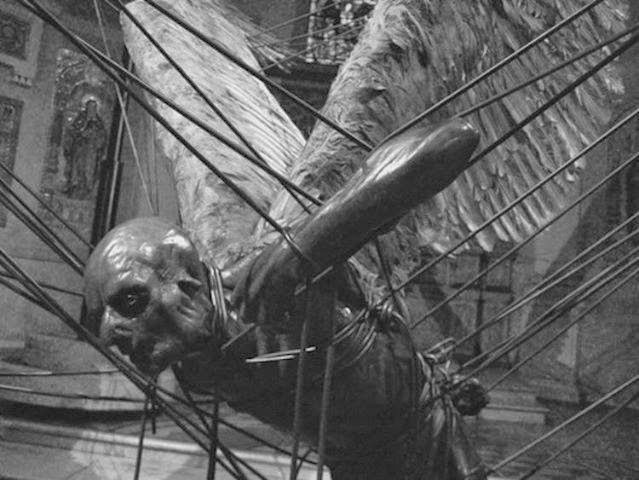 The statue is equal parts grotesque and beautiful, showing Lucifer as an oily, black creature with immense white wings (created from real feathers). Even creepier in the fact that it's lit via the church's stained glass windows, an ironic juxtaposition that won't be lost on many. Feyer hasn't come out and said exactly what kind of statement he was trying to make at the Holy Trinity Church, but his certainly wasn't the first. Earlier in 2008, the building (which is now being considered as shopping center) hosted an art display that featured a crucified ape as the centerpiece.